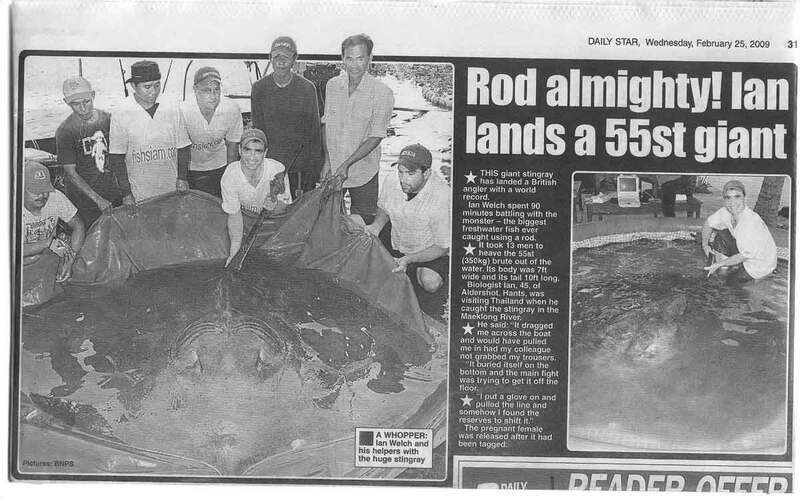 Daily Star February 2009 World record Stingray captured! Home Magazines and Press Features Daily Star February 2009 World record Stingray captured! The Daily Star newspaper in the UK reports on the capture of a huge Giant Freshwater stingray by the Fishsiam team in Thailand.